Groovy Tights So You Can Be Seen on the Road! Unisex Sized for Anyone. Technically Designed tights provide extra coverage and warmth for the winter workouts. 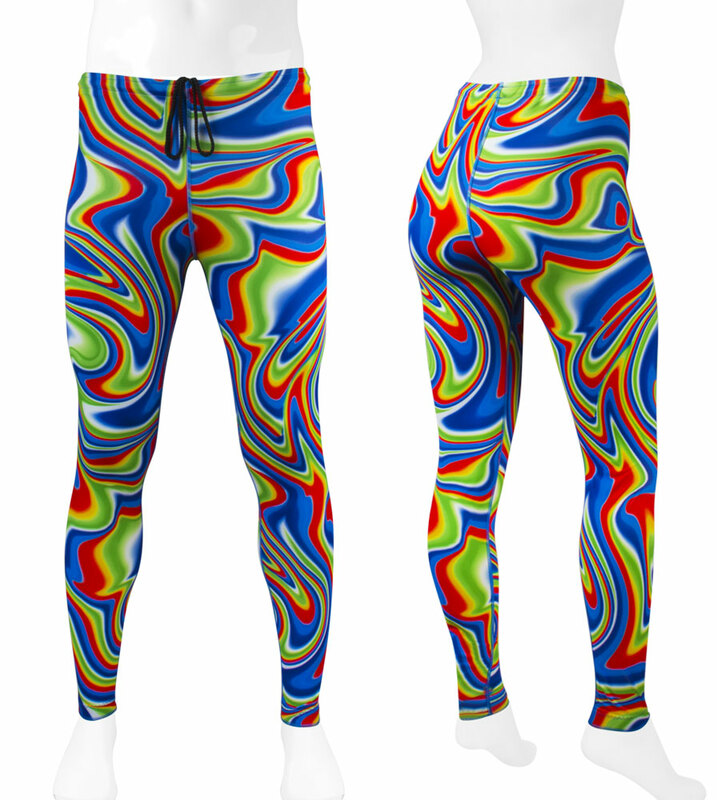 Wild Print Bicycle Tights are so comfortable, they move with you as you exercise. Tights are made of buttery soft, premium 7.6 ounce lycra spandex, with a non-binding elastic and drawstring waist. Legs are generous length with gripper cuffs that hold onto your socks and won't ride up during your workout. Sooooo comfy! Material: 80% Nylon 20%Spandex comfy! Buttery Soft, Premium Lycra Fabric Fits Like a Second Skin! A day doesn't go by when I wear these tights while cycling that I get complimented on them. That being said I'm always confident that cars will see me- and for all the loudness in design despite my quiet personality- is really all I care about. Great for late Iowa fall rides. Would like better if fit snugger around pad; it seems to shift a little during rides (15 miles plus); may just have needed next size smaller. GREAT pattern.